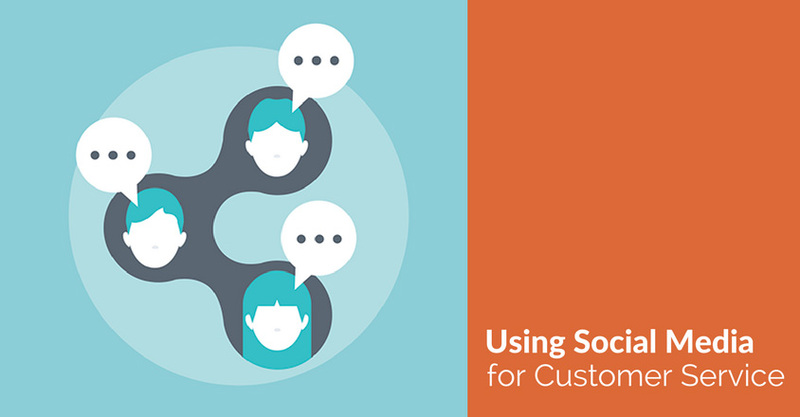 Social media is a viable avenue for providing customer service to your customers. As more and more consumers embrace social media for personal use, they are also reaching out to companies this way. Some brands listen and respond better than others, and these are the brands that enjoy increased customer satisfaction and loyalty. In most industries, consumers have a good deal of choice when it comes choosing where to spend their money, so encouraging loyalty is an important goal. Customer service isn’t an either or proposition, so you don’t have to choose social media customer service over traditional methods. In fact, you shouldn’t choose one over the other at all. Social media is up and coming in the customer service realm, and it’s likely that more consumers will take advantage of it as time passes. However, the majority of consumers may still have a preference for traditional methods and will quickly become annoyed if they want to speak to a brand representative by phone but discover that you’re only available via Facebook. 84 percent of those polled choose to interact with companies via telephone. 80 percent of the consumers polled interact with companies via email. 64 percent engage in face-to-face interaction. 16 percent interact with companies via social media platforms. 60 percent of consumers will change how they contact/interact with a company based on what they’re doing and their current location. 43 percent of consumers would rather contact a company online for most issues and save the telephone contact for complicated questions/issues. Remember that using social media for customer service doesn’t just influence your relationship with your current customers. It also influences how prospects see you. 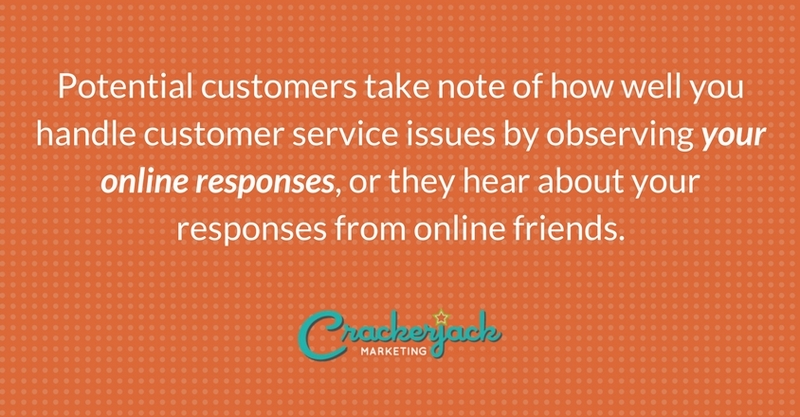 Potential customers take note of how well you handle customer service issues by observing your online responses, or they hear about your responses from online friends. They then develop an impression of you that helps them decide that your business is the right one to patronize. As you move forward with using social media for customer service, always keep in mind that monitoring is critical. Monitoring interactions and responses is not only important for determining what you’re doing right and where you can improve but also for getting a heads up about problems before they get out of hand. With effective monitoring, you can note customer issues and complaints and respond to them effectively before they become full-scale crises that damage your business reputation. 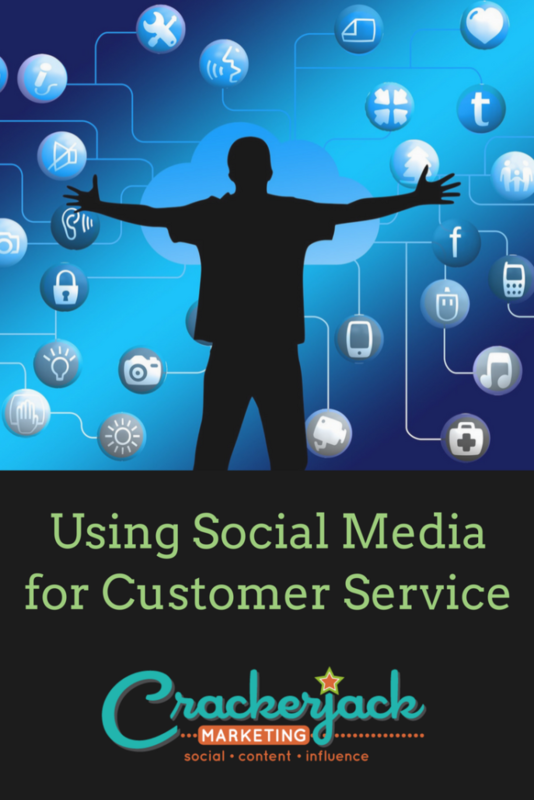 Are you using social media for customer service? What successes have you experienced? Have you hit any stumbling blocks? How Can Facebook Benefit My Business? What's So Special About Twitter? Help! My 9 Year Old Wants To Be On Instagram!